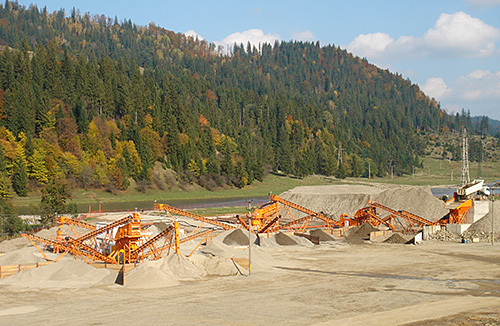 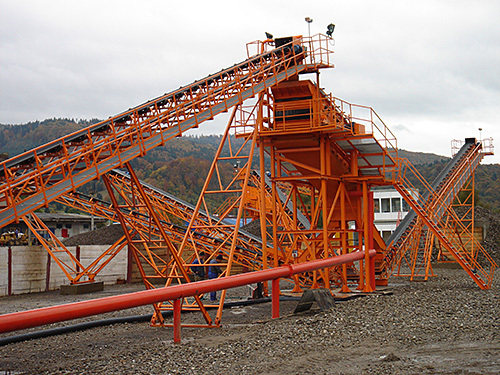 The crushing sorting and washing station has a capacity of 100t/h (around 60m3). 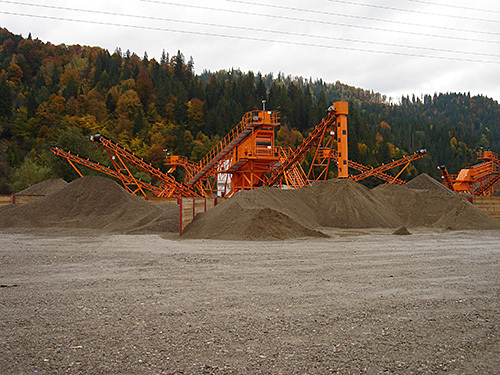 The ballast is supplied from a bunker of 20 m3, after which, through a vibrating feeder, it is evacuated and transported with transporting belts on the crushing and washing sites. 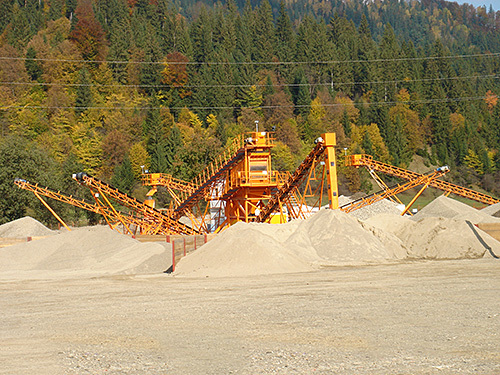 There are obtained four natural and washed sorts, and four types of crushed sorts. 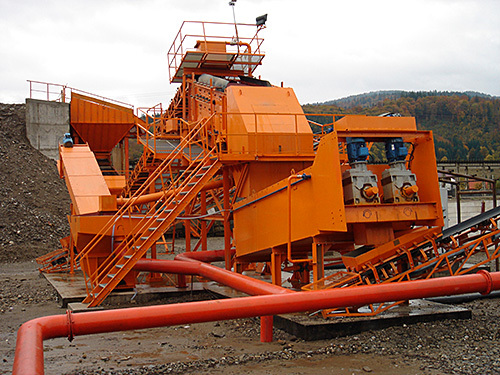 The resulted refuse has a second circuit and is crushed to an extent of 95%. 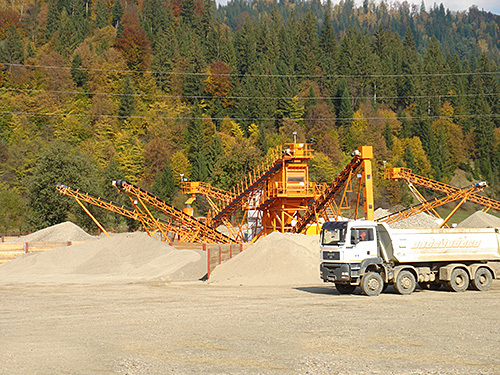 The obtained products have the necessary certifications of quality.